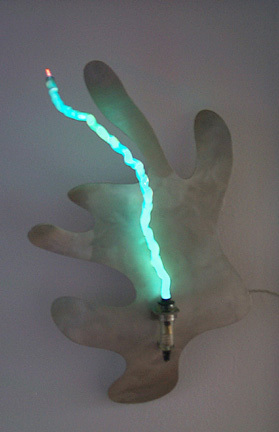 32" x 22" x 6"
39" x 8" x 7"
The Venusian Florita is a wall sconce made to suggest what a luminescent plant from Venus might look like. 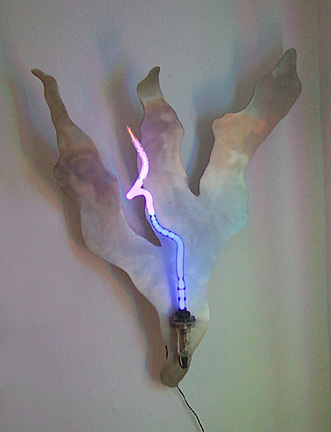 It is pure fantasy and no two are the same. 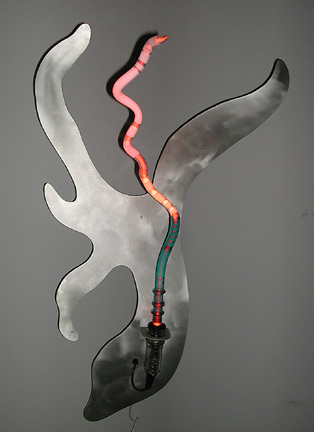 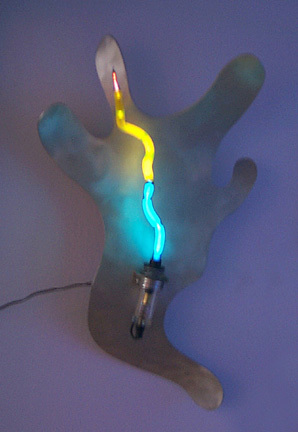 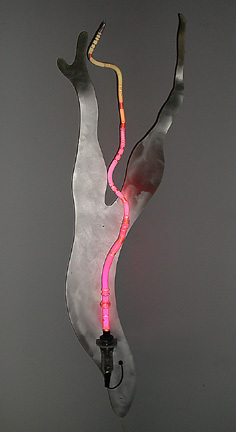 The metal is brushed aluminum and the hand-blown neon tube varies in size, shape and colors. 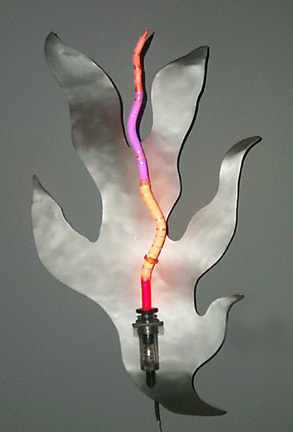 The neon tube is held in a pyrex "socket" and is easily removed for shipping or cleaning.